Energy does not just come from carbohydrates, Vitamins For Energy as well. Everything from standing, walking, talking, eating, and playing requires energy. And without providing the necessary energy to your body, you will feel drained and lethargic. So, just as we charge the battery of our cell phones, we require vitamins for energy, for charging our body and keep us going. Classification Of Vitamins And Their Importance- Read on about some of the vitamins whose deficiency can seriously make you weak. This vitamin is responsible for the production of energy and its use. It is further bifurcated into eight vitamins for energy that will keep you far from fatigue and will also revitalize the body. Vitamin B1/ Thiamin – It strengthens the immune system of the body, which causes the brain as well as the nervous system to work efficiently. It is also responsible for the process of metabolism. Vitamin B2 /Riboflavin– Requisite for producing energy with the help of chemical reactions, the deficiency of Vitamin B2 can leave people sluggish and worn-out. Vitamin B3/ Niacin – This vitamin takes care of high cholesterol that is primarily responsible for eating up the energy of an individual. Vitamin B5/ Pantothenic acid – This vitamin aids body in restoration of energy and saves a person from falling ill.
Vitamin B6/Pyridoxine – This vitamin guards the arteries. It provides enough oxygen to the body so that energy can be produced. Vitamin B9/ Folic acid – It has a great role in development of red blood cells as these cells maintain the basic energy level. 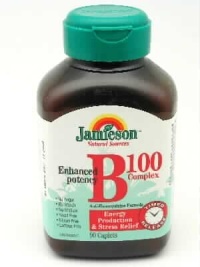 Vitamin B12/ Cyanocobalamin – It is important for replenishment of energy. Biotin– It is significant for energy because it facilitates proteins as well as fats that convert the food in energy. Vitamin C – One vitamin that is a good source for energy is certainly Vitamin C. The cellular functions in a body are performed by this vitamin. This suggests that in case you have become drained out by the hectic activities throughout the day then it will repair your body and get you back to a rejuvenated self the next morning. Deficiency of Vitamin C can impede the performance of an individual. Iron – Deficiency of iron can cause Anemia which can result in lethargy. Hence, iron is an essential source of energy especially for women. Magnesium – This nutritional supplement carries out body functions such as muscle health, production of red blood cells, as well as providing energy. Intake of vitamins for energy is essential for a healthy living. So, say goodbye to lethargy and consume these top vitamins for energy properly.